On the last day of term 5, Mr Whitewick received a parcel from Holbrook Public School our link school in Australia. Inside the package there was a t-shirt. It is their summer sports uniform. It has their school logo on the front and their school name on the back. 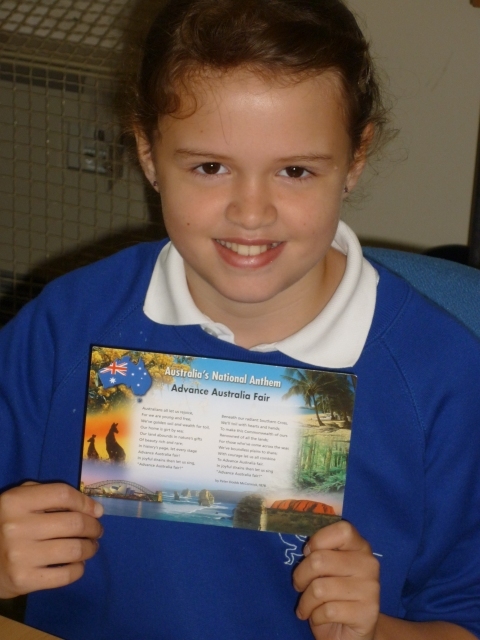 The package also contained 3 books about their town and region in Australia: The first is about the connection between Holbrook and Submarines; the second about the town of Holbrook; and the third is a tourist leaflet for Holbrook. They have some interesting pictures in and the writing is very detailed and descriptive. 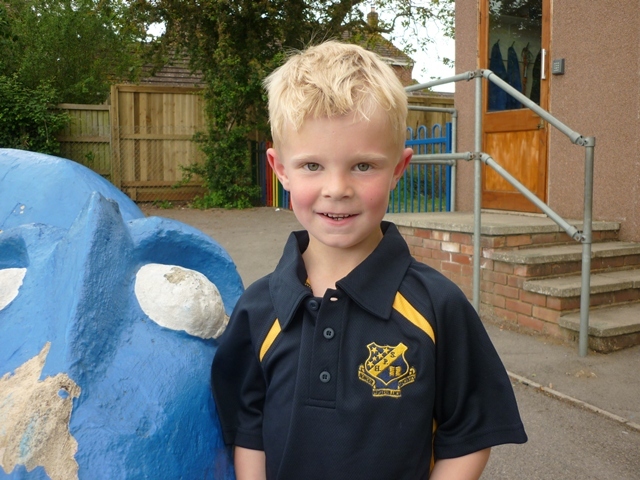 One of our pupils in Kingsley Class modeled the shirt for us. 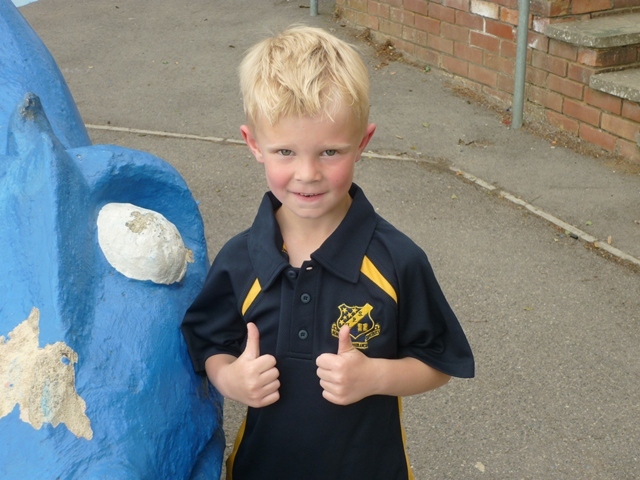 He is standing next to our school dragon. Francis led an art workshop in the hall with all pupils from KS2! We have read the book and now we get to meet the illustrator of our Big Read book, ‘Stories from the Billabong’. 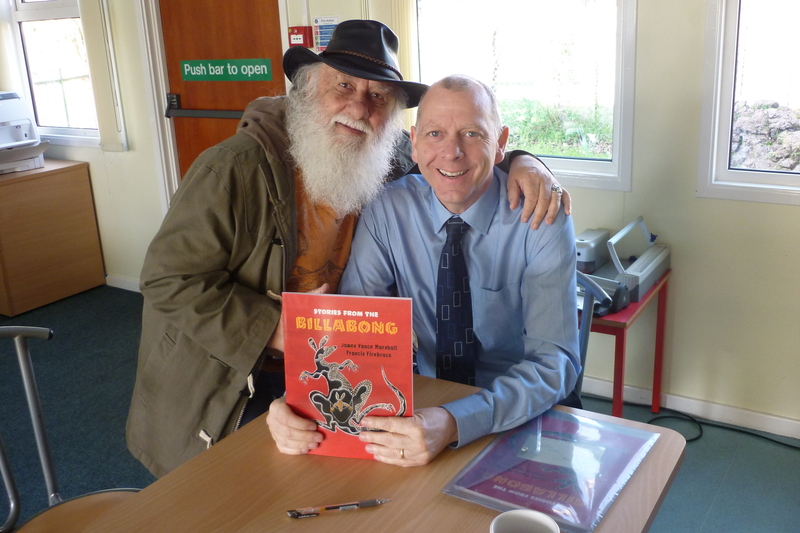 Francis Firebrace provided all the artwork for the book and talked to the children about his ideas, his art and his plans for a sequel. He signed a copy of his book which we will be sending to our partner school in Holbrook, NSW. This is the copy of his book we will send to our partner school.